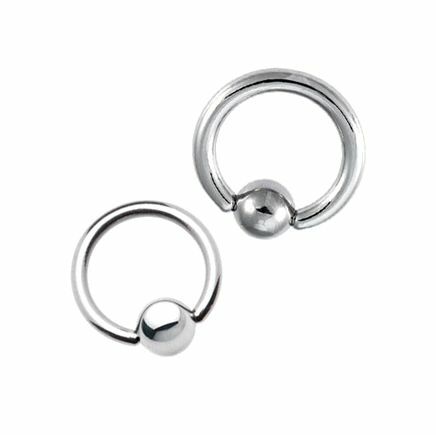 This is a surgical steel ball closure ring. This ring is made up of 316L Surgical Steel. The gauge available for this Ball Closure ring is 10 gauge. This ring comes in a huge variety of diameters and ball sizes. This item is sold individually. This item is completely nickel free.